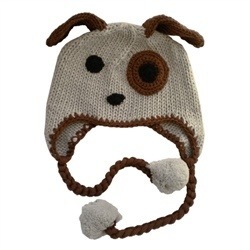 Puppy Dog Beanie Hat by Huggalugs: this adorable light grey beanie features a fantastic fido. This pup is not only cute but fuzzy and warm too, which means your little boy will cuddly warm all season long. Pair it with a pair of Handsome Leg Warmers by Huggalugs. 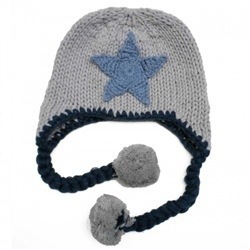 Blue Star Beanie Hat by Huggalugs: this spectacular star beanie is a beautiful blue and features a special star on the front. Pair it with the Baby Alfie Leg Warmers by Huggalugs for a great and stylish look! 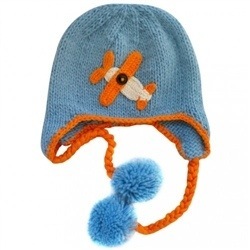 Sky Rider Beanie Hat by Huggalugs: a perfect sky blue beanie with a fun orange airplane on the front. Your little boy will be so cute he might just fly away. Try pairing it with the Morocco Indigo Leg Warmers by Huggalugs. This entry was posted in Accessories, boys clothing and tagged beanies, fall, Hats, huggalugs, infants, the boys store, toddlers, winter on November 28, 2013 by Lacy.